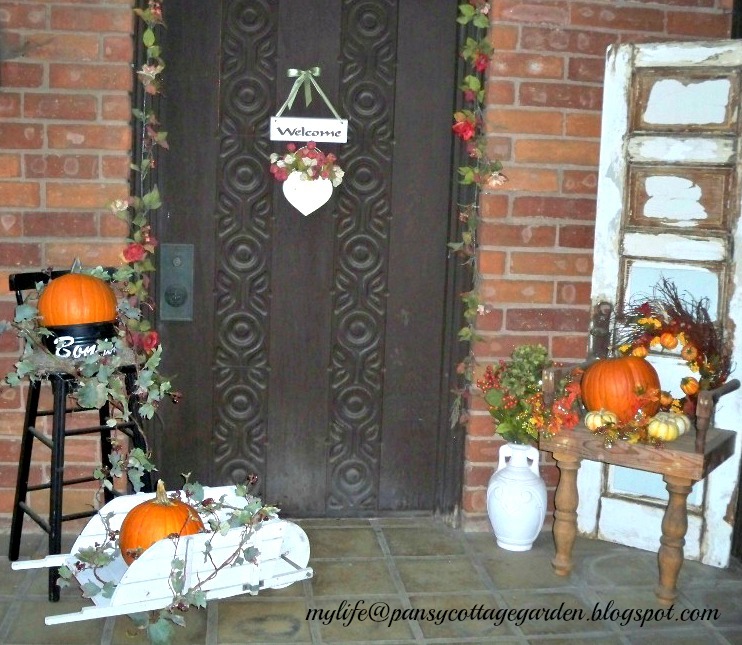 My Life at Pansy Cottage and Garden: Falling for FALL! Wishing you a wonderful Fall day! Such a welcoming door! If I weren't all the way across the country, I'd bake up some scones, or pumpkin bread, and bring them hot, a-knockin' at your door, hoping to be invited in for a cuppa tea.